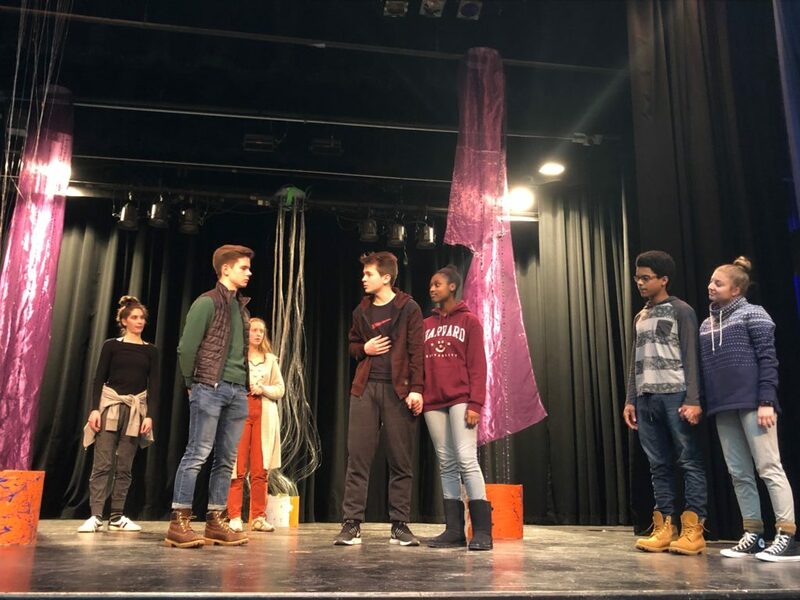 For the second consecutive year, PTG director and AAPS teacher Alex Leydenfrost will stage a production in the Little Theater at Pioneer High School, an intimate space with only 250 seats. Last year, Leydenfrost, also a resident artist at the Purple Rose Theatre Company, directed The Crucible by Arthur Miller. In the well known Shakespearean comedy A Midsummer Night’s Dream, a quartet of mismatched lovers, a gaggle of hapless actors, and mischievous sprites cross paths with the king and queen of the fairies, entangled in their own domestic dispute. Audiences will be transported to a wondrous wood brimming with paramours and possibilities, where the inexplicable magic of falling in love—and the marvel of waking up from the sweetest of dreams—is discovered. But unlike what you’d typically expect from a Shakespeare production, this 80-minute one-act version of A Midsummer Night’s Dream is set in 1968 at the height of racial tensions in America. Motown and psychedelic rock music filter through the show as the young lovers, attired in the more straightlaced clothing of the time, lose themselves in the magical woods, where the bell-bottomed, long-haired fairies play tricks on them. All the while, a blue collar group of amateur actors attempt to put on a play for the wedding of Theseus and Hippolyta. The cast of A Midsummer Night’s Dream is an extremely committed, creative, and diverse group of young actors who have taken the challenge of performing Shakespeare for the first time in 20 years at Pioneer High School. The set, designed by PTG Technical Director Mysti Plummer, features Andy Warholesque mod decor in Theseus’ palace and a hippie’s dream of a forest: full of beads, tapestries, bean bags, and trees that light up like lava lamps through the magic of fiber optic cable. Friday, February 8th at 7:30 p.m.
Saturday, February 9th at 7:30 p.m.
Sunday, February 10th at 2 p.m.